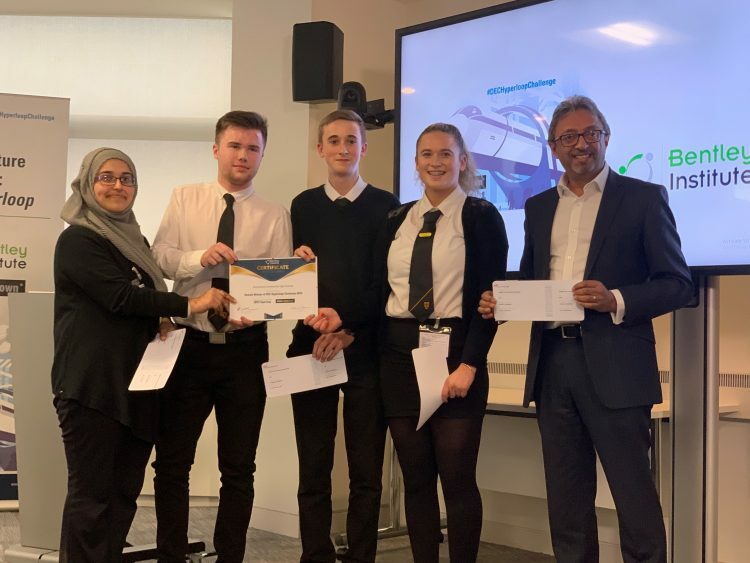 Winners of the 2019 Future Infrastructure Challenge: DEC Hyperloop is the Drummond Community High School Team (Alizah Mughal, Ryan Gordon, Wiktor Rauba, Faye Fulton) with Harj Dhaliwal, Managing Director Middle East & India, Virgin Hyperloop One, who was a member of the judging panel for the event. In the spring of 2018, following meetings with students studying DEC at a higher or advanced level, the four schools were invited to enter teams to take part in the first Future Infrastructure Challenge to mark the 10th anniversary of Class of Your Own. Delivered in partnership with Bentley Systems, the programme will be released as a full curriculum for schools around the world later this year.